It is a common notion that Africa has, and indeed ought to have, learned much from the west. This is not wrong; all cultures rightly learn from each other. But less is said of what there is to learn from Africa: from her stories, myths, music, proverbs, insights – and more. Here an acclaimed African scholar steps into the gap by uncovering for us something of the great legacy of African thought and practice in ways that will astonish many. 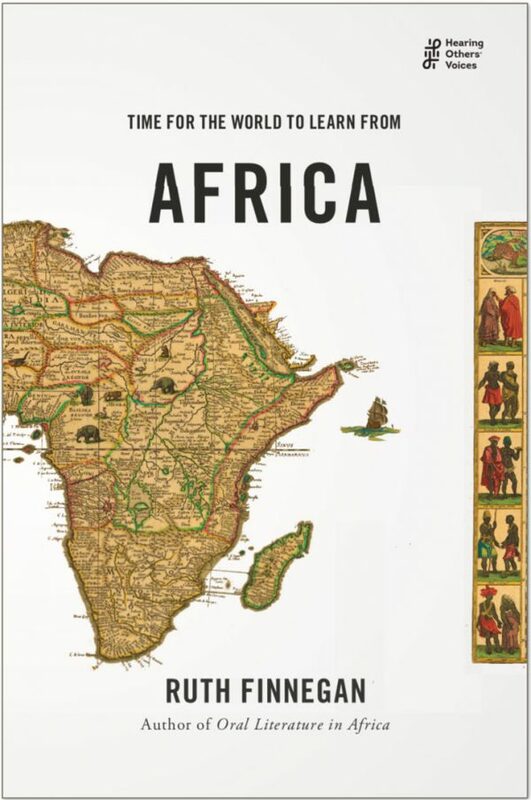 Written with verve and authority and directed above all to students and sixth formers, this book will also delight and often surprise those who know something of Africa as well as those hitherto ignorant. Ruth Finnegan OBE FBA is Emeritus Professor The Open University, Foreign Associate of the Finnish Literature Bureau, and International Fellow of the American Folklore Society. An anthropologist and multi-award author, she has published extensively, chiefly on Africa, musical practice, and English urban life. Recent books include How is Language?, Fiji’s Music: Where Did It Come From?, her edited Entrancement: The Consciousness of Dreaming, Music and The World, and two prize-winning Africa-influenced novels Black Inked Pearl and Voyage of Pearl of the Seas.